A cult Mexican horror radio programme called “The Hairy Hand” has ended after 22 years on air. It could be heard from 22:00 until midnight every weeknight and was a favourite among overnight taxi drivers and late-shift workers. The format was simple. Listeners would call in to tell disturbing stories of supernatural experiences to a receptive and believing presenter. In its early years the show gained huge audiences in Mexico and abroad. Its first presenter, Juan Ramón Sáenz, died seven years ago of a heart attack, aged only 48. 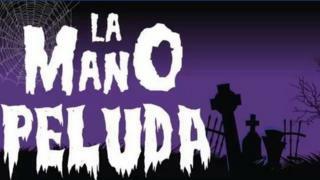 The “Hairy Hand Maniacs” (“peludomaniacos” in Spanish) as his fans called themselves, speculated that something supernatural or a bad spell had got to him too. Grupo Fórmula, the Mexican media company that carried the show, has as yet given no reason for taking it off the air.